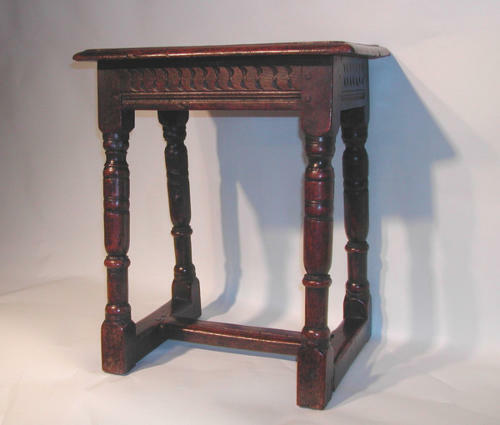 Rare 17thc Oak Joint Stool with centre stretcher. English. C1630-40. A rare form of 17thc Oak Joint Stool, with a single central stretcher....this is only the second one I have purchased in all the years of trading.! English. C1630-40. See Oak Furniture - The British Tradition by Victor Chinnery for an example to compare.